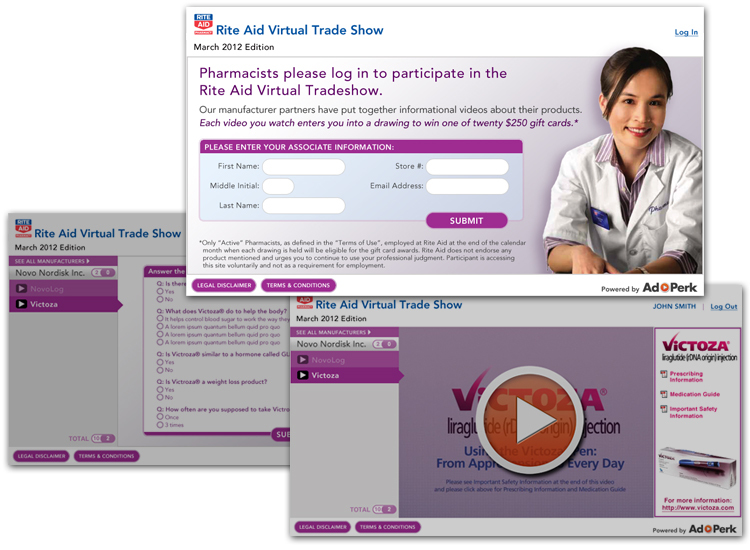 The Rite Aid Virtual Tradeshow is an internal platform that was created for pharmacists to learn about the newest drugs on the market via product videos. To ensure full engagement in the video viewing, we sweetened the deal with quizzes and rewards. 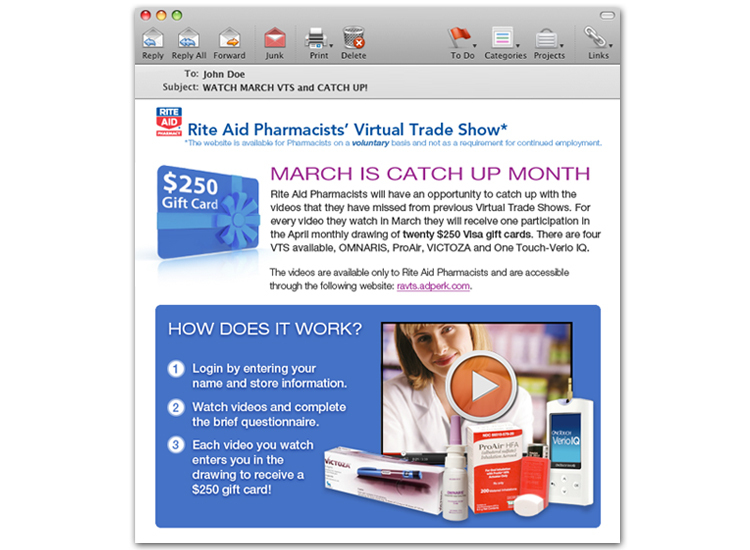 Each month features new products and videos to keep the pharmacists connected and informed about what’s new in the market. I helped create this product from scratch. I worked side-by-side with programmers to create the UX/UI from my mock-ups, I worked with our Marketing team to send out monthly emails to support the campaign, and closely followed pharmaceutical company’s legal guidelines and disclaimers.